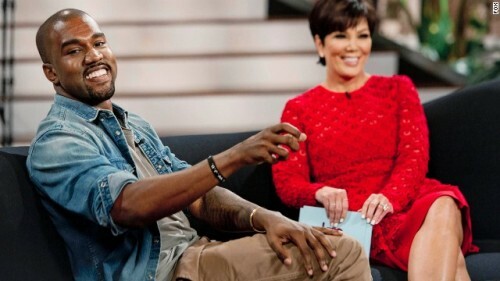 Home » Kanye West Shows Off Baby North! The moment many have been waiting for happened during the finale of Kris Jenner’s television show on Friday. 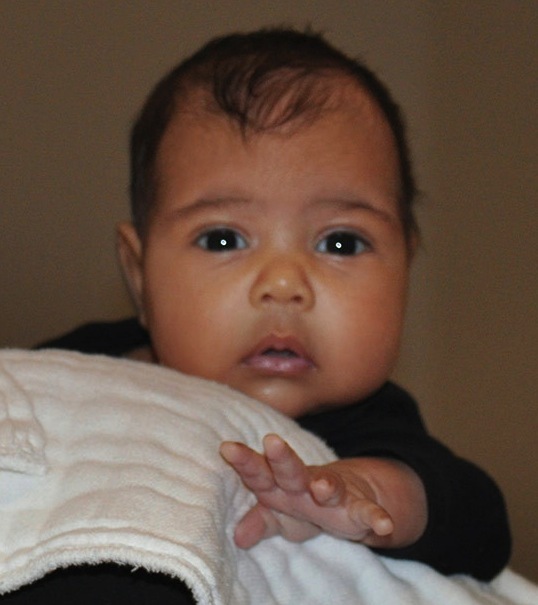 Baby North West has finally been revealed and she is pretty cute! A mix of her mom and dad(naturally) Nori, as the Kardashian clan calls her, is a bright-eyed, round cheeked little babe. Proud papa Kanye West showed a snap of the baby, who is being held by her mom Kim Kardashian, to the talk show’s audience earlier this week. The photo ends the ‘chatter’ as Kanye would call it, about the infant’s appearance. His job now is to protect her. North West is the first child for both Kim and Kanye. Congratulations to the couple. She is beautiful!